Open to a name change? Re: Open to a name change? I like it cuz it's simple... but frealz, i really LOVE the og sd clips logo. that's the only logo change i will be down for. 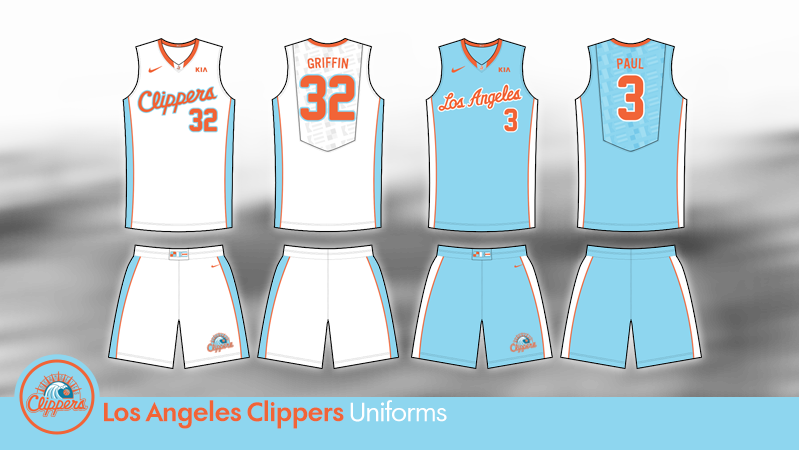 Actually, bringing back the old clipper logo sounds real appealing to me. it seems to symbolize the franchise restoring the purity and the good name of the clippers prior to Donald's corrupt and sleazy ways. probably SD Clipper logo isn't good for LA, but perhaps something of a retro logo for LA that embraces the SD roots and colors? let's make it out of April, Dodgers!!!! 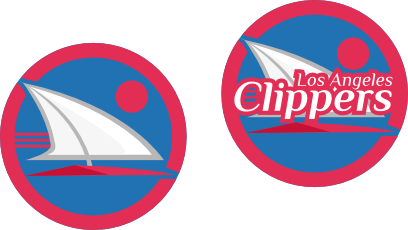 In all my years as a Clippers fan, I can't believe I've never seen these logos before. I like them as well. Thanks for the find. The simplicity of the design appeals to me but a slightly more contemporary version of this design might just be perfect. While I've seen these uniforms, I don't recall seeing the accompanying logo. I like a lot of elements of the design as it seems to be growing on me even though it reminds me of the old-school Miami Dolphins with the color scheme. Ranma wrote: While I've seen these uniforms, I don't recall seeing the accompanying logo. I like a lot of elements of the design as it seems to be growing on me even though it reminds me of the old-school Miami Dolphins with the color scheme. good observation! I honestly didn't even see the logo on the second picture with the uniforms. I liked the first pic i found as our potential future logo and was looking for unis to go with it, didn't really find the right color scheme but always liked the old braves colors. somewhere between the two i see a great compromise that will make even Henry Clay impressed! Clippers for life! F*ck a name change!